From the moment when it became plain in the late forties that the first significant American style had crystallized in Abstract Expressionism, a certain unhappy majority began to look forward to the day when its discomfort at the absence from art of references to external reality would be mollified by a return to figuration in painting and sculpture. For this group the abandonment of the human figure and its environment reflected a failure with respect to "humanism." --Alan Solomon, "The New Art"
Where is the figure in the carpet? Or is it just ... carpet? If there is one thing that Philip Guston is known for it is his "return to figuration." The figuration he was presumably returning to-exemplified by paintings such as The Studio (see plate 1), one of the thirty-three canvases he exhibited in October 1970 at the Marlborough Gallery in New York-was a style of painting apparently inspired by some of the artist's earliest works, images like The Conspirators (fig. 1), a drawing Guston made in 1930, when he was seventeen and living in Los Angeles, in which vigorously modeled members of the Ku Klux Klan were depicted in dreamlike surroundings. Guston's return in 1970 angered many of his admirers and baffled numerous critics. After creating some of the most subtle and unabashedly beautiful paintings associated with abstract expressionism, like Attar (see plate 2), and then, beginning about 1956, producing some of the most awkwardly sensitive and allusive, with bulbous forms in bold and clangorous colors emerging on canvases like The Evidence (see plate 3), Guston seemed to turn his back on all the movement stood for. In these new works he appeared to have traded the abstract expressionist rhetoric of existential angst and artistic integrity for a crude representational imagery based on what seemed to many people a simpleminded and outdated idea of political engagement rendered in an awkward, faux-naïf social realist style. In most sympathetic accounts of Guston's work this return to figuration has been presented as a bold and audacious, even a courageous gesture. The standard narrative goes something like this: the artist, incited by the growing political and social crises of the decade and fed up with what he saw as the hermeticism and rigidity of the formalist paradigm of modern painting, creates a shockingly unorthodox body of work that critics initially scorn and misunderstand; over time, however, it begins to influence younger artists who emerged in the late 1970s and early 1980s-painters like Susan Rothenberg and Julian Schnabel. They would practice a new mode of figurative expressionist painting, and their success would sanction representational art after years of its widespread dismissal and validate the critical acceptance of Guston's own return to figuration. Focusing on the thirty-three paintings that Philip Guston exhibited at the Marlborough Gallery in 1970, this in-depth account reconsiders the history of postwar American art and the conception of figuration in modern art history. Through a myriad of cultural touchstones, including evidence from literary and musical vogues of the period, Robert Slifkin examines the role of history as both artistic medium and creative catalyst to Guston’s practice as a painter. Slifkin employs a wealth of visual examples, archival materials, and original scholarship to situate Guston’s paintings within broader artistic debates of the time, using the cultural movement of “the sixties” as its orienting foreground. This historical framework provides an interface between the notions of time in art and time in the material world. 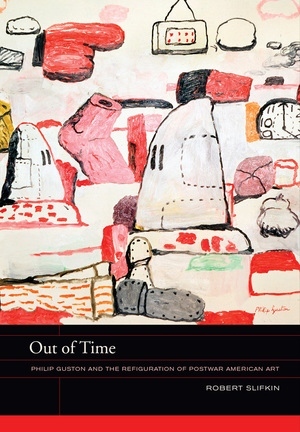 Lively and edifying, Slifkin’s comprehensive text productively complicates the prescribed traditions of postwar art history and, in turn, shifts our perception of Guston and his place in the domain of modern art. Robert Slifkin is Assistant Professor of Fine Arts at The Institute of Fine Arts, New York University.